When wine tasting, you have to kiss in lot of ugly frogs (at the beginning of each flight) until you find your beautiful/handsome princess or prince at the end of the flight. Wineries always save the best for last. After a day of driving north through Healdsburg on West Dry Creek Road, tasting our way north, we finally hit the end of the road and found Bella Vineyards & Wine Caves. It’s a very attractive winery with picnic areas, a vintage house and a wine cave covered in old Vine Zinfandel planted in 1915. 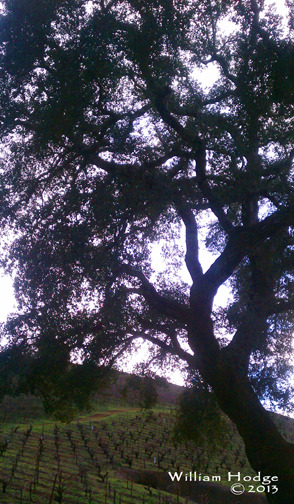 It’s their Lily Hill, where they source grape for their estate zinfandel. 400 feet into the cave we stepped up to taste their offerings in their 5,200 foot wine cave and tasting room. 1,500 feet are set aside for entertainment. Started in 2002, the caves were finished in a year and a half. While we don’t normally taste Chardonnay, the folks there encouraged us to taste their 2011 Monte Negra Vineyard Chardonnay. We’re really red wine drinkers as you can tell by reading these entry’s. 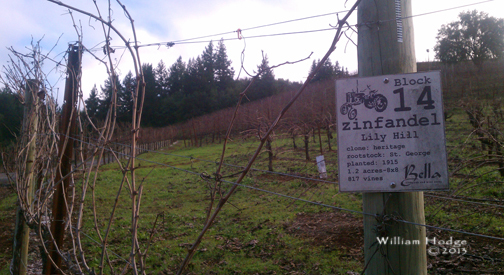 We are Big Zinners and fell for the Big River Ranch Zinfandel. It now comfortably rests in our wine cellar awaiting the perfect night, the perfect food for the perfect wine. 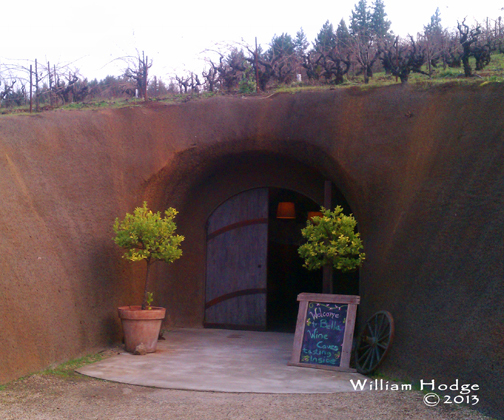 You can find this winery at 9711 W. Dry Creek Road in Healdsburg. This entry was posted in California Wineries - New World Wines, Chardonnay, Healdsburg, Pinot, Russian River Valley, Sonoma, The Pleasures of Tasting Wine, Thoughts About Wine - Exploding Ruby Flowers On Your Palette, Vinotypes, Zinfandel and tagged bottle, california, chardonnay, healdsberg, pinot, sonoma, wine, wineries, zinfandel.